INTRODUCING A NEW LINEUP OF SIGNATURE COCKTAILS YOU'RE SURE TO ENJOY IN OUR RESTAURANT & BAR! Don’t forget to make your reservation. Click HERE to reserve your table. House of Blues IS the ultimate night out. It's where great food sets the stage for amazing live concerts. From VIP experiences with the world's best artists to our world-famous Gospel Brunch on Sundays, House of Blues is truly where music and food feed the soul. 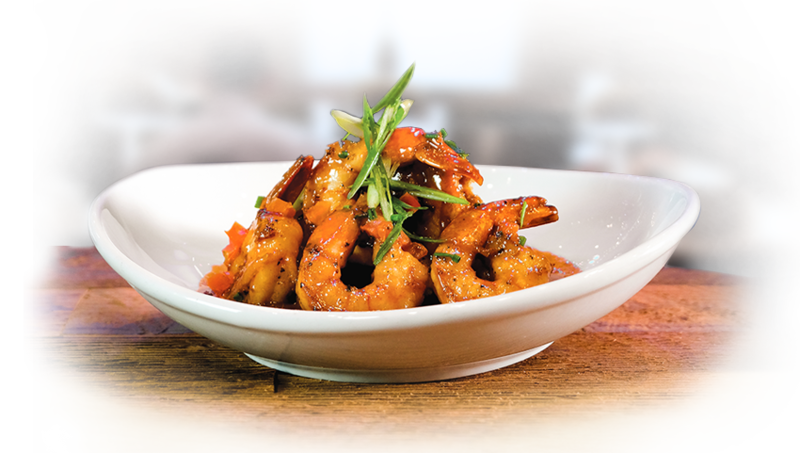 Our Voodoo Shrimp will have your taste buds singing all the way home. Sautéed in an Abita Amber beer reduction sauce and served over jalapeno-cheese cornbread, it’s the perfect treat to fuel up before the show – or anytime! LOVE MUSIC? JOIN THE CLUB. The Foundation Room VIP Club is the premier membership for music lovers. It starts with special access to our state-of-the-art lounge and ends with a lifetime of memories. Members never wait in lines, always get first choice tickets, and enjoy a pile of perks like Pre-Show Performances and Artist Meet and Greets. Get ready to have the time of your (night) life.